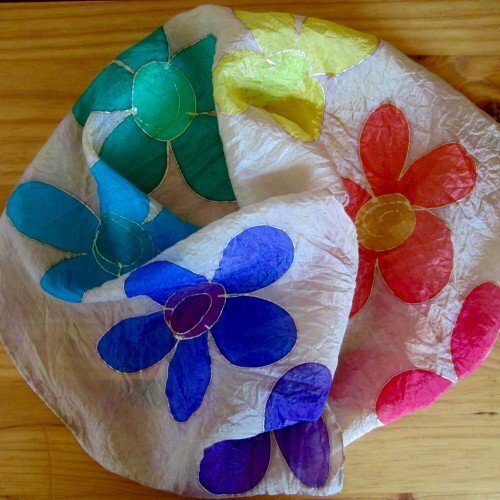 Chakra silk scarf flowers hand painted. 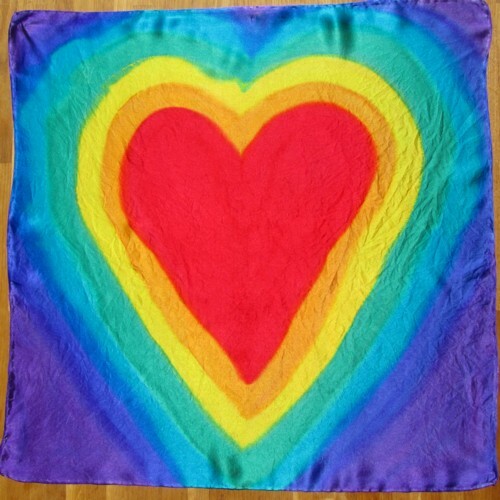 This is a large chakra silk scarf, measuring approximately 150x40cm. 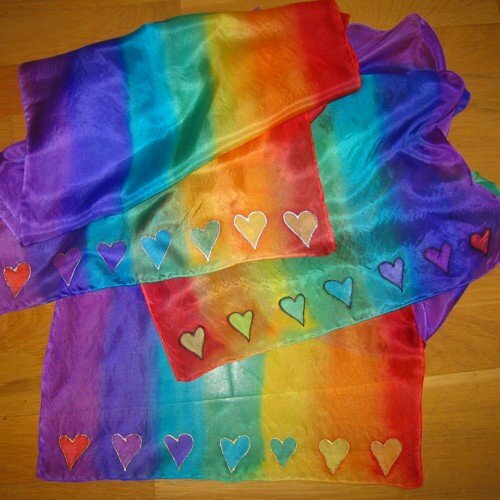 Because each scarf is made with lightweight, slightly shiny pure silk, the resulting in a lovely, super soft feel. First of all, I hand paint large flowers in gold coloured paint. 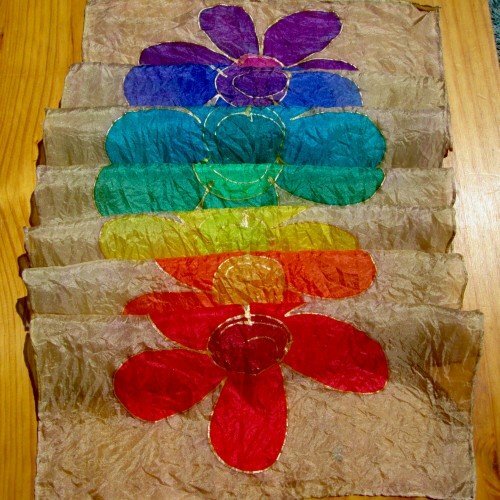 Once dry, I then paint on the seven vibrant chakra colours. Finally, I paint the area surrounding each flower with a beige/light gold. 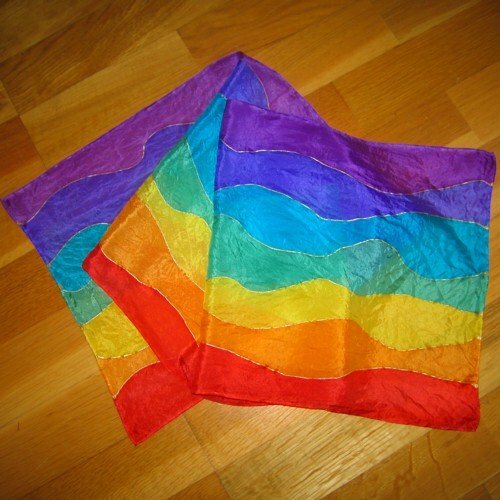 As a result each scarf varies very slightly and each is a individual work of art, unique to you. 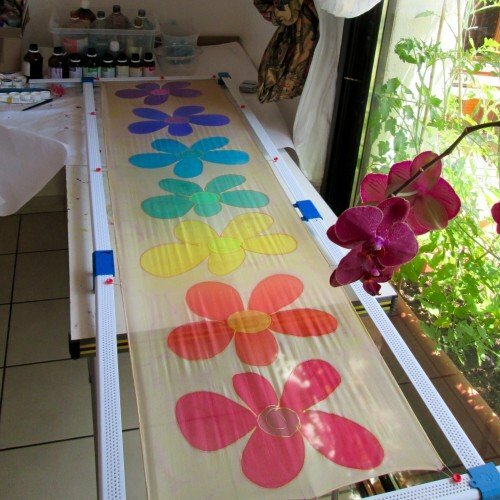 I love painting these : chakra silk scarf flowers hand painted”. They are unusual and fun. 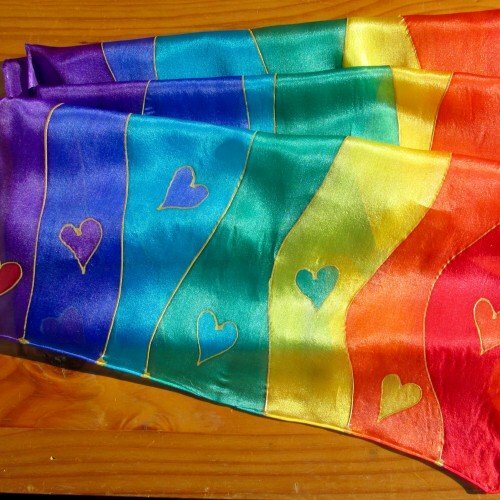 See the “care for your silks” page for care advice.